The Sun moves into Aries on March 20, marking the Spring Equinox -- the first day of spring in the Northern Hemisphere -- and the Astrological New Year! Light and darkness are equal this day, and from that point on the days grow longer. Spring Equinox is traditionally a time to celebrate fertility and nature, and the renewal of the life force that went dormant through the winter. 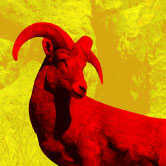 Spring fever strikes during the Aries season, inciting the urge to connect and create new romance. Happy Birthday, Aries! The Sun in your sign and your 1st House of Self signals the start to your personal new year. Pay attention to what enlivens you and commit to making changes that free up more space for following your enthusiasm. The Sun in Aries fires up your 12th House of Dreams and Imagination, inviting you to invent a new vision. Slow down your social life and spend time in solitude to tap into your inner guidance and reignite your inspiration. In your 11th House of Friends, the Aries Sun energizes your social life. Recharge your batteries by participating in group activities and reaching out to people who inspire you. This is an auspicious time for connecting with people who can help you realize your dreams, so take advantage of any networking opportunities. 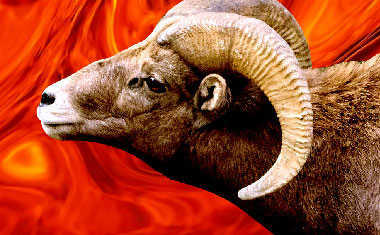 The Sun in Aries shines on your 10th House of Career -- an industrious time for focusing on achievement and success. Take the risk of making new connections and taking courageous steps toward your professional goals. In your 9th House of Travel, the Aries Sun stirs up your desire to explore new destinations. This is an auspicious time for adventure in any form, whether physical or intellectual. Stepping outside your comfort zone reignites your inspiration and gives you a higher perspective on any challenges. 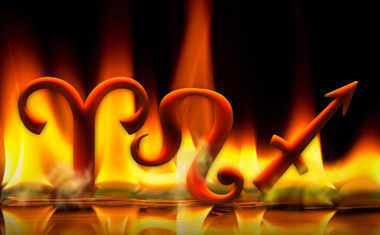 The Sun in Aries sets off sparks in your 8th House of Intimacy, so prepare for the flames of desire to flare! Activating your 7th House of Partnerships, the Sun in Aries puts relationships on the front burner -- even more than usual. You can keep it all in balance by making sure you're seeing to your own needs and obligations; in fact, you must be careful not to shirk responsibilities, no matter how small. The Sun in Aries energizes your 6th House of Work and Health, calling for innovative approaches to everyday routines and responsibilities. Use this surge of energy to revamp your self-care and work habits -- how can you experience more pleasure and enthusiasm in your daily life? Lighting up your 5th House of Fun, the Sun in Aries summons you to revitalize your creativity by taking time to play. Consult your inner child to discover what feels like fun, and take the risk of following your heart's desire. The Sun in Aries stimulates your 4th House of Home and Family, signaling new beginnings on the domestic front. Making changes in your home -- redecorating, rearranging, or adding a new accessory or piece of furniture -- strengthens your inner foundation and reinvigorates your energy for outer-world activities. Empowering your mental realm, the Sun in Aries energizes your 3rd House of Thought. Take the risk of following your curiosity into unknown territory by opening your mind to new ideas and perspectives. It's also an auspicious time for sharing your ideas with others, through teaching, writing, sales or marketing. The Sun in Aries and your 2nd House of Finances inspires new approaches to building prosperity, and perhaps new sources of income. This is a time to get clear about the details of your existing financial picture, and what you want to create in the future.